The bridge that connects the Tan Jetty village at Weld Quay, George Town. An illuminated coastal tower at the Tanjung Tokong seaside nearby the “Penang Avatar Secret Garden“. The Straits of Malacca sea which separates the island and the mainland region of Penang. 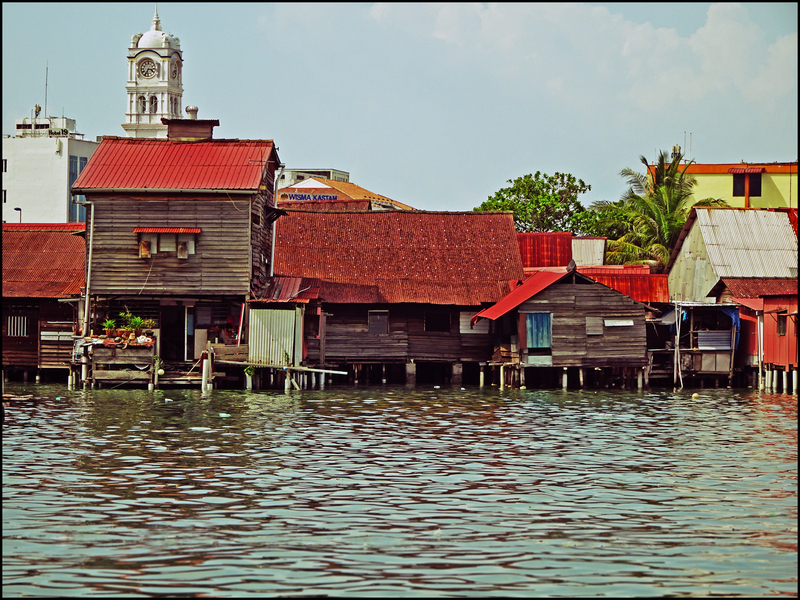 Fishing village and jetty at the Teluk Bahang coast. A temple overlooking the clan jetty area at Weld Quay in George Town. 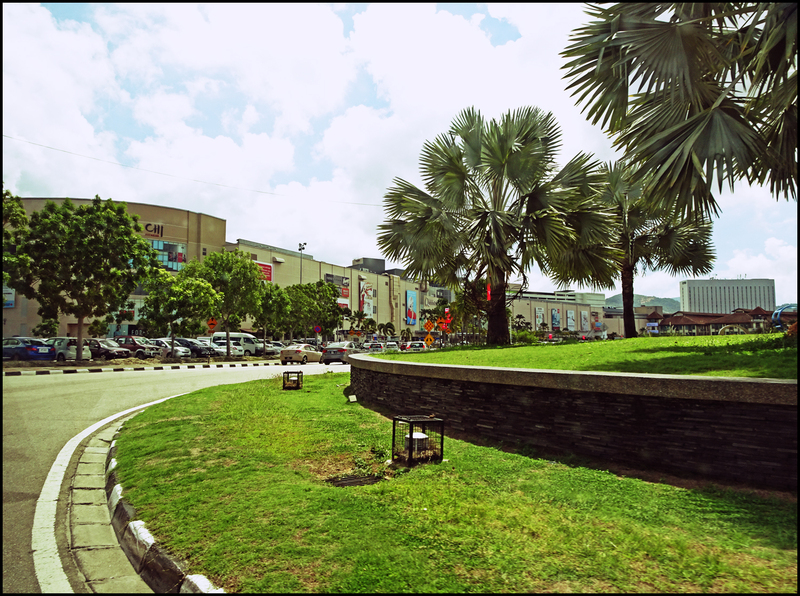 Queensbay Mall is a large shopping complex located at the Bayan Lepas south eastern coast of Penang, facing Jerejak Island. 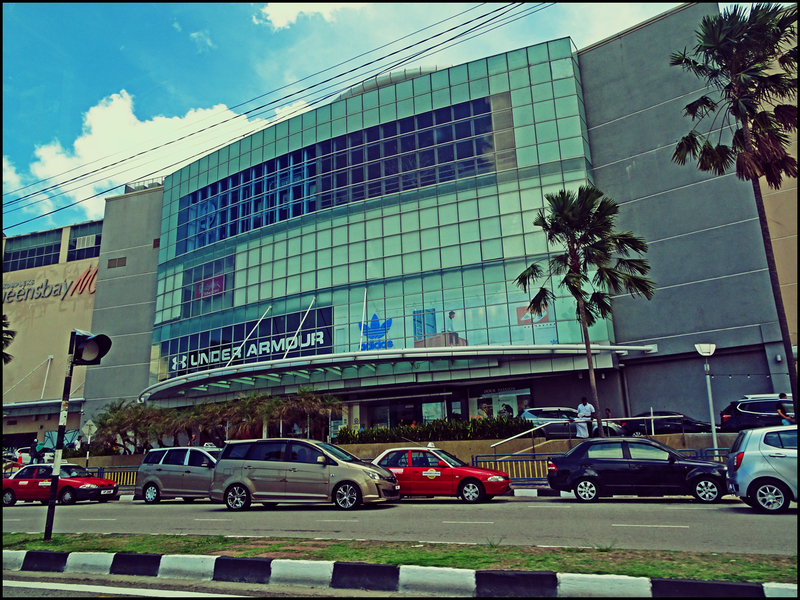 It is the largest shopping mall in Penang island, and is located just nearby both the Penang bridges as well as the airport.